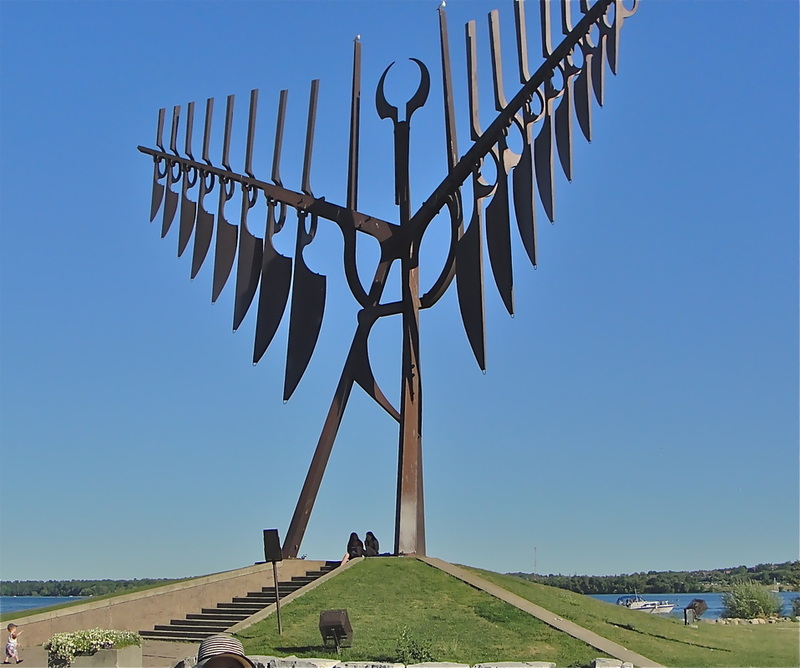 The Spirit Catcher, with movable "feathers" which swing with the wind (The Great Spirit) in Barrie Ontario Canada. A baby, when taking its first breath (spirit) becomes human at that moment. When that person dies the last breath (spirit) leaves the body to rejoin the Great Spirit. This concept predates written history and is common to many cultures indicating that it originated before Humans spread out throughout the world.